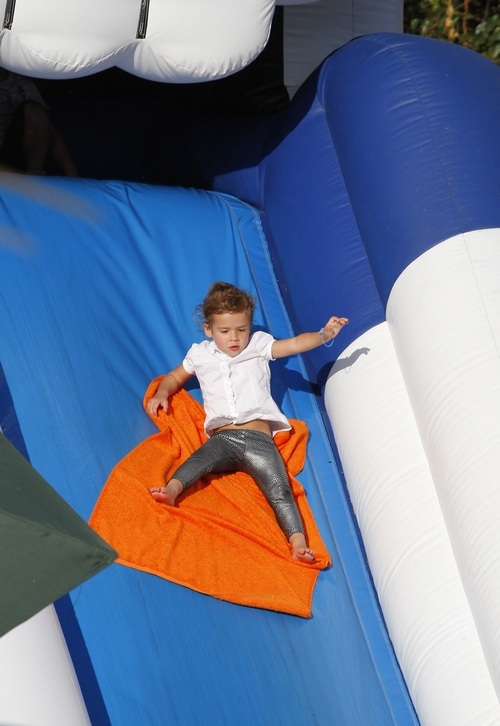 Celebrity moms Jessica Alba and Holly Robinson Peete head to the pumpkin patch with their kids. Every October, a slew of celebrities head over to the famous Mr. Bones Pumpkin Patch with their kids. 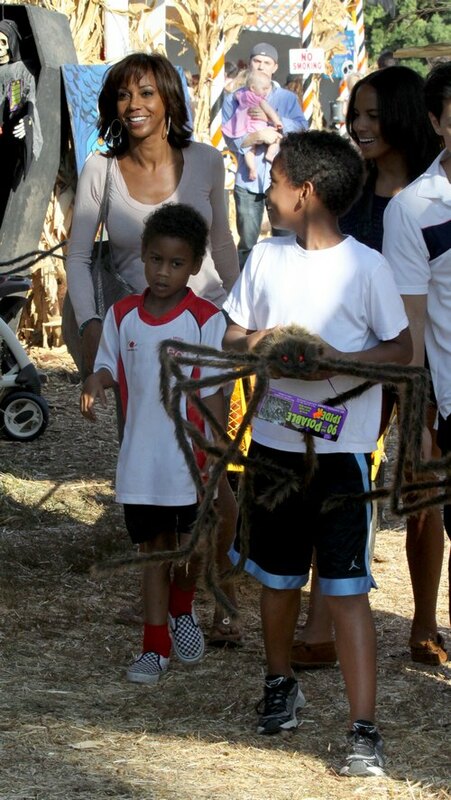 Yesterday Holly Robinson Peete and her four kids were spotted grabbing some pumpkins, along with a few Halloween decorations. Yesterday also happened to be the 14th birthday of her twins Ryan Elizabeth and Rodney Jr. Holly Tweeted out several messages and baby photos of her kids during the day, marveling at how fast the time has gone by. Also spotted was Jessica Alba and her daughters Honor and Haven. Honor Marie hit the giant slide before setting out in search of the perfect pumpkin in her size.